As a small leather shop, we fully understand that quality and customer service are the two most important aspects of our business. 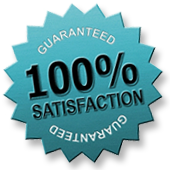 Our promise is to deliver our very best before and after you buy. Please visit our belt sizing page before ordering! We build our belts with materials purchased from US suppliers only. A Better Belt USA ~ Hand Crafted in the USA. I just received the belt you made in today's mail. It's everything I was looking for and more. Being something of a perfectionist, I hardly ever use the term "perfect" to describe something. Having said that, I think the belt you made is PERFECT! It is exactly what I was looking for. And I did a lot of looking, both locally and on the internet. I looked at all the major companies and dozens of small ones. I chose your company because it appeared to be the best value. In that regard you far exceeded my expectations, both in price and quality. I cannot be more pleased and satisfied with it. The pride you obviously have in your craftsmanship is evident in every detail. Thank you for a truly great product.